When your pipes or plumbing system requires complete replacement or routine maintenance, Vietzke Trenchless is ready and available to cater to the needs of your specific situation. For more than fifty years, Vietzke has serviced the sewage and drainage issues of the Kennewick area and the greater Washington state. We would be happy to provide a solution to your plumbing issues. In the event that your particular situation needs pipe bursting, the practiced hands of our expert technicians will be able to ensure your pipe system is repaired quickly and thoroughly. Over time, the pipes of a septic or sewer system can start to deteriorate. The lines that carry water and waste in and out of your home can develop leaks, clogs or other obstructions that can cause damage to your home or business. Traditionally, a repair for these issues would entail the excavation of your yard and local landscaping, disruption to your home life, and potential loss of profit to your business. Instead of a typical excavation, the process of pipe bursting involves the use of a bursting head, a special type of pipe inserted into your sewer lines that shatters and clears away the old, damaged pipes. 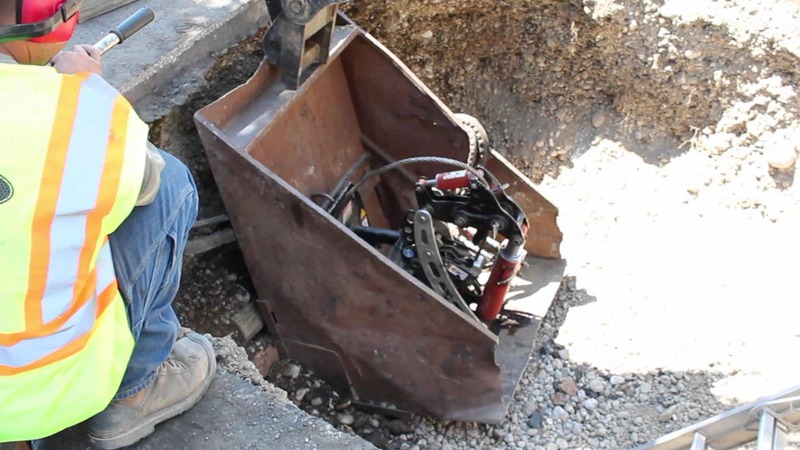 This process is safer, more economical, and will prevent the disruptions to your commercial and residential life typical of a traditional excavation. Why Might You Need Your Kennewick Pipes Burst? In the event that your system requires pipe bursting, Vietzke Trenchless is able to insert an expanding head and replacement pipe behind the previously mentioned bursting head. These pipes follow behind the bursting head as it destroys the old pipe system, and inserts new pipes and expands to ensure a congruent fit to your old system. With this process there is no need for prolonged and destructive excavation, and the disruption to your life in your home or business is lowered to an absolute minimum. Pipe bursting also reduces the risk of damage to neighboring lines and underground systems, like electrical wiring or cable hookups. For more than 50 years, Vietzke Trenchless has served the sewage and drainage needs of customers in the Kennewick area. The numerous testaments to our commitment to customer satisfaction can be seen on our website, as well as our many online reviews. Our A+ rating from the Better Business Bureau and our renowned longevity in the industry supports their claims. Our expert technicians and administrators will coordinate a personalized, worry-free solution to whatever plumbing problems you may have. If you are still deciding if Vietzke is right for you, give us a call for an obligation-free estimate. If you believe that your Kennewick system requires maintenance, don’t hesitate to contact us. Our team of expert associates and technicians can field your call and get your system back up and running. Call 509-244-9607 today to get Spokane’s pipe bursting pros working for your home or commercial building. You’ll soon discover what other residents already know: the friendly and expert service from Vietzke Trenchless simply can’t be beat.